Happy Springs come with happy Spring flowers. 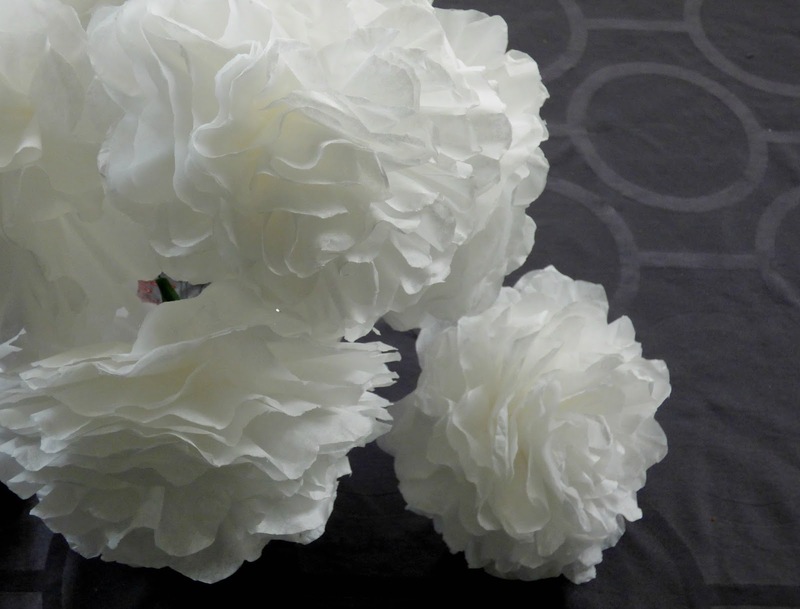 And being able to make your own paper flowers can come in handy if you enjoy hosting showers or teas with Spring themes. 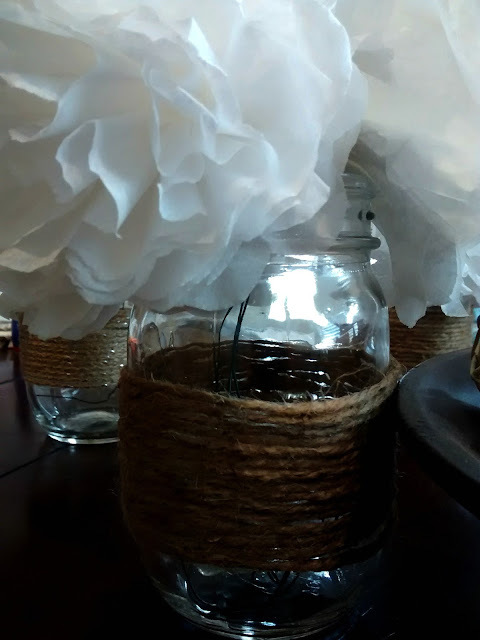 Such was the case for me when I helped host a friend's baby shower last week, and I was to be in charge of creating paper flowers for the decor. Problem was, after looking through my pins and trying to make all sorts of paper creations, I just couldn't figure it out. Talk about a hosts' worst nightmare. 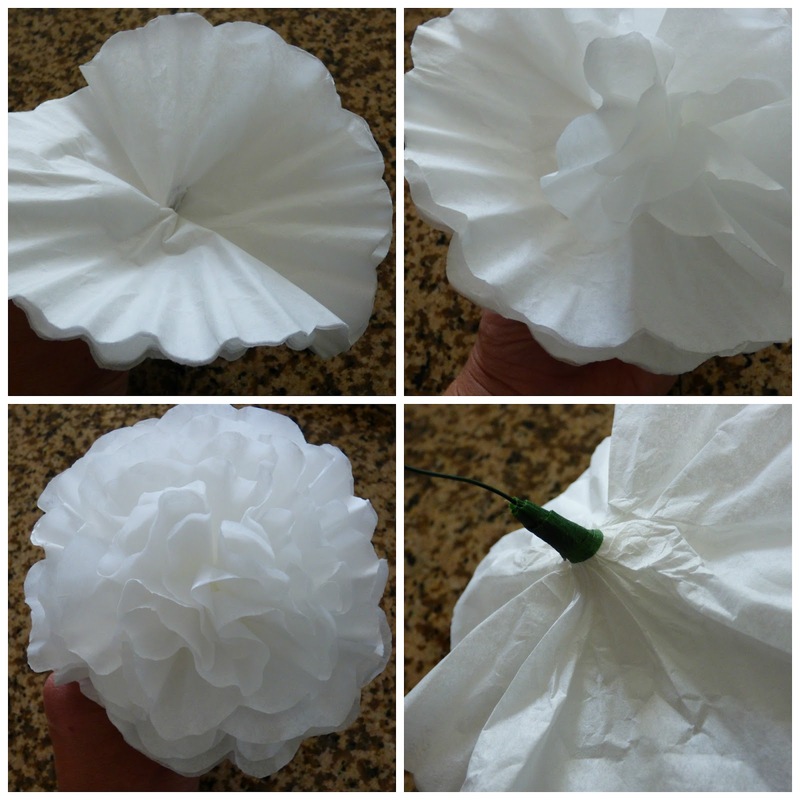 After a few frustrating days of trying, I decided to come up with my own flower made from coffee filters, kind of a hybrid of all the different ways I found online. I hope they are helpful for those of you who are new (like me) to making paper flowers/roses/carnations. Fold in half 4 times, until there is only a thin triangle left. Using scissors, cut a rounded edge along the top of the triangle. Cut a 3-4 inch long piece of wire and round it at one end. Poke the wire through the middle of all the filters, so now both stacks are together. Pull the wire through so that the rounded end is resting in the center of the flower. 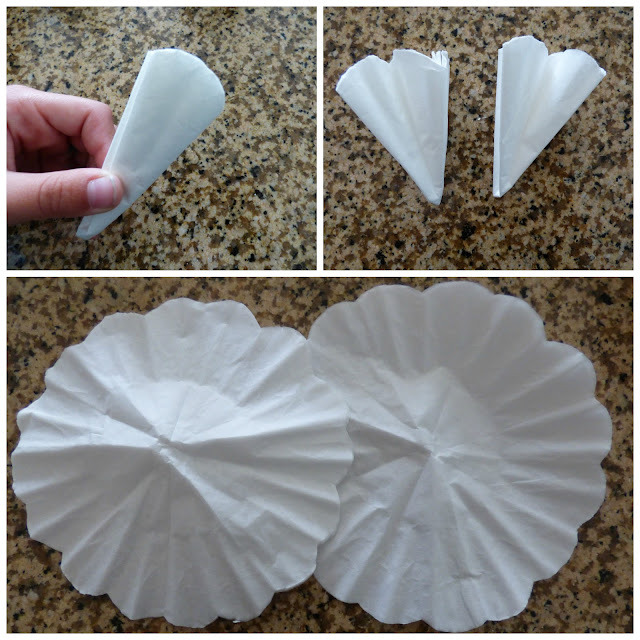 Fold the filters again 2 times. Staple the base of the flower twice, making sure the staples are secure. Open the filters up, careful not to rip the center. 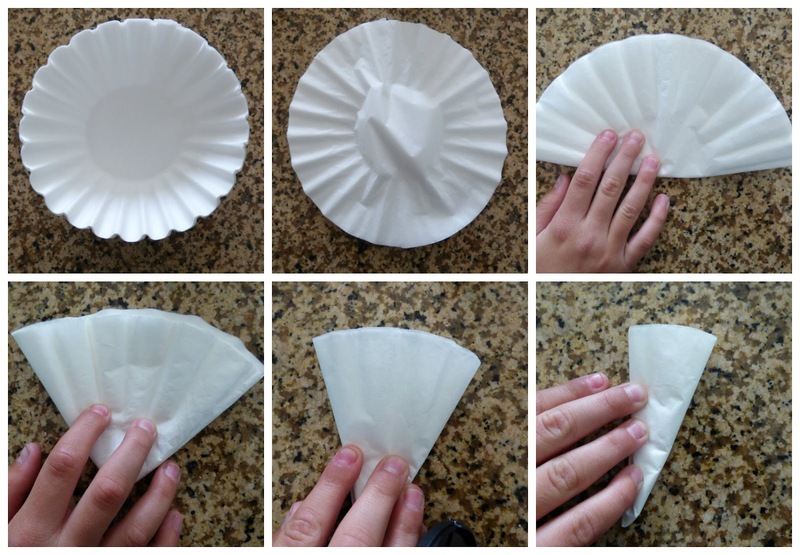 Once the filters are open, scrunch up each layer at the center. 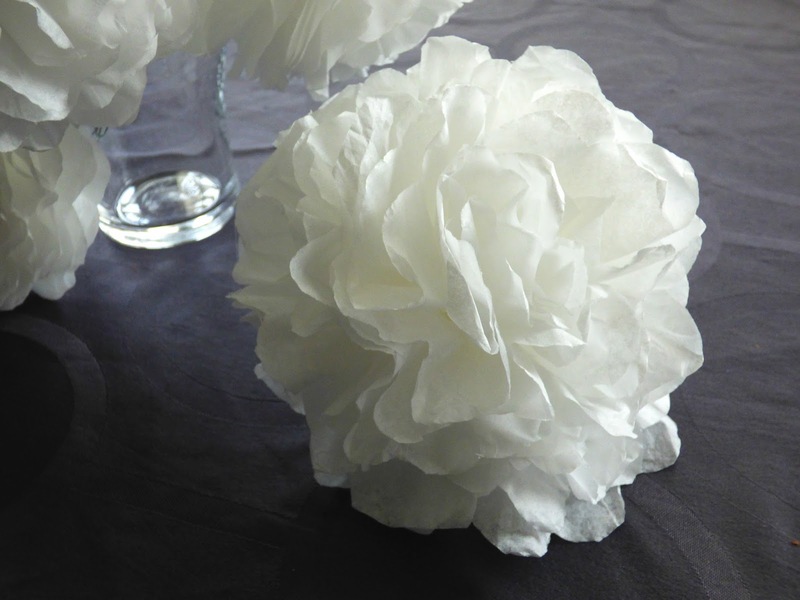 No need to be neat about it, the thicker the crunch, the fuller the flower will be (the staples underneath help to add thickness to the center so that the 'flower petals' stay in place). Continue to scrunch each layer until all have been pulled apart and fluffed. After the layers are finished, for a cleaner looking flower, turn it over and add some floral tape. Since the tape won't stick to paper, I used one drop of hot glue to attach the tape to the paper, then I wrapped it around 2-3 times and attached it again with one drop of hot glue. So there you have it. Not so hard after all. 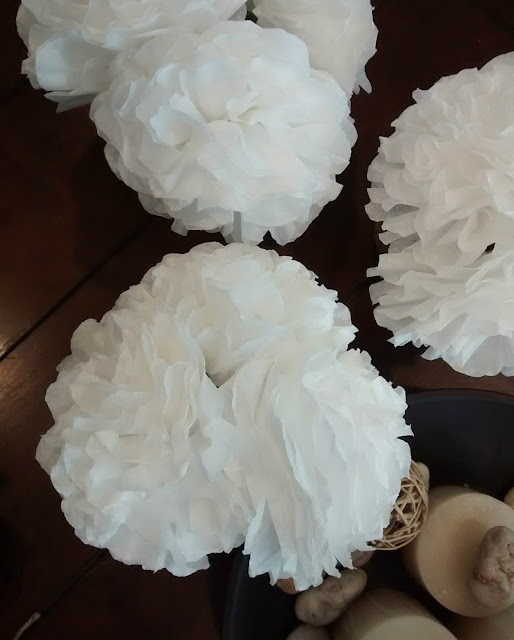 With a little patience and quick moving fingers, you can have many lush bouquets of coffee filter flowers for your next event. They are great dyed or colored, however, I love them white. I have them all over Heidi's room and they look so real! 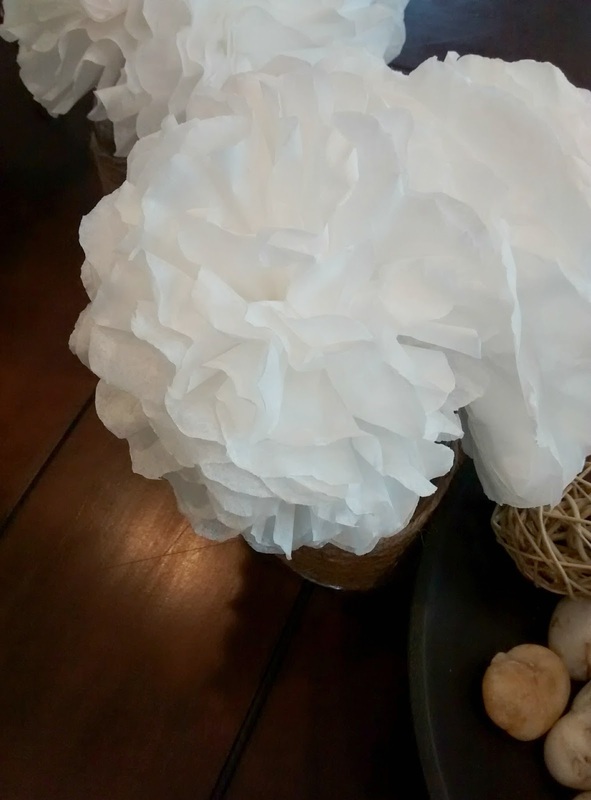 Let me know how you make your paper bouquets below! Those do look super easy, now if I just used coffee filters!! I feel like they would be perfect for a baby shower! Thanks for the share! I love these! Such a cute idea, and I would never have thought to use coffee filters. Going to try it! These look so cute! They would be perfect for a bridal shower I'm helping to organize. I'm so glad I came across this post! So beautiful! 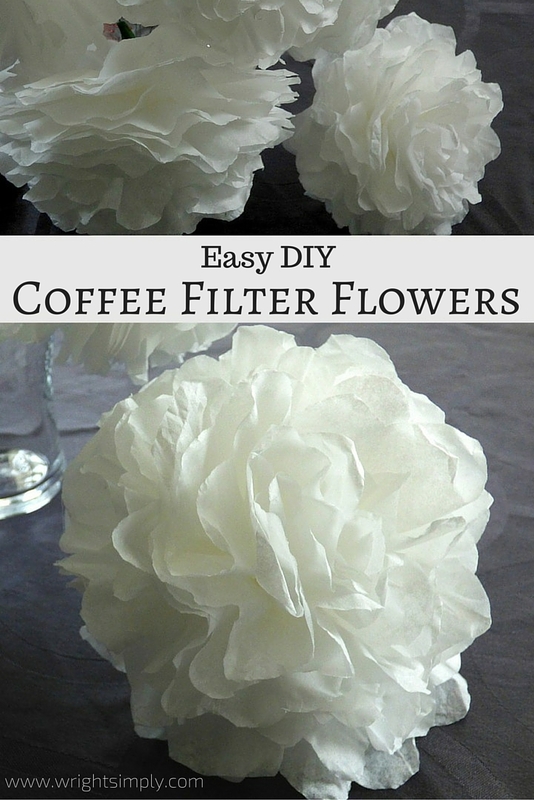 I would never know they were from coffee filters. These are so cute! I would have never thought to make this! These are so so cute! 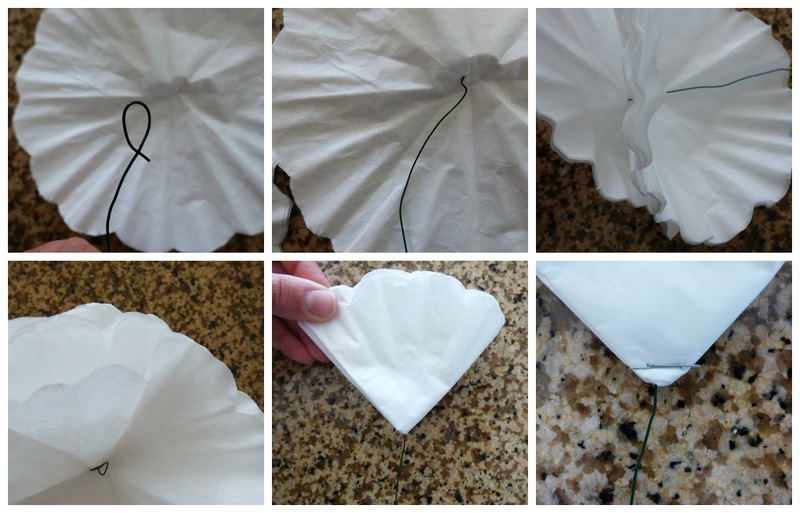 Great idea and looks pretty simple to make, too! What a great idea!!!!!!! I love it girl! !